Making your office Fairtrade, and supporting deprived producers and workers in the developing world, is a great way for businesses to make a positive difference not just to its environment, but its peoples. If a business pays scant regard to the standards under which its supplies are produced then it might not only be supporting industries that are damaging to the environment but also ones that are exploitative and harmful to its workers and producers. But how do businesses know which of the items they buy have been produced under fair conditions? Without fair trade, fruit farmers will continue to receive a pitiful few pence a pound for their crop, well below the cost of production, banana producers will spray hazardous pesticides over their plantations while workers are still toiling in the fields, and young children will continue to be forced to work 16 hour days sewing buttons on shirts for minimal pay. Buying Fairtrade is not about giving charity to the disadvantaged in the developing world, but supporting the ethical and responsible production of their goods. Which Products Can Your Office Buy? With over 3,000 different products licensed by the Fairtrade Foundation now available to buy through UK outlets there is a vast array of items for offices to choose from. However, simply by switching its tea and coffee supplies to Fairtrade branded goods a business can make a major difference, as these items are consumed in massive quantities in offices across the land. Nevertheless, as well as tea and coffee, businesses can also purchase a range of healthy Fairtrade snacks including dried fruit, fresh fruit, nuts, cereal bars, and fruit juices. In fact if your office has a vending machine then it may be possible for it to be stocked with Fairtrade products. As well as nuts, cereal bars and fruit juices, this could also include familiar office favourites like chocolate, biscuits and cola. 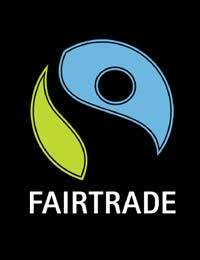 If your supplier refuses to stock your machine with Fairtrade products then you can always switch to one that will. The Fairtade Foundation provides a list of local suppliers. Where Can Fairtrade Products Be Bought? The Fairtrade Foundation website also carries a list of supplier list for its regular items. These are typically bought in bulk through local health food wholesalers, however it is becoming increasingly easy to order Fairtrade products in bulk direct online. For many employees, switching to Fairtrade may seem like an easy way to make a positive social difference but they are usually not the ones making the big decisions. Company bosses may not prove as ethically enlightened, and fail to see how such a switch would benefit their bottom line. For help convincing bosses to get involved, the Fairtrade Foundation has drafted an email that employees can send to them detailing the benefits of Fairtrade products to more profit conscious managers. These include showing your staff how caring you are, the potential for great PR opportunities and having something worthwhile to add the company's CSR (corporate social responsibility) policy. If this method fails to make an impression then employees can always resort to collective action. Recently a petition signed by more than 700 staff members prompted BT to switch the annual 3m cups of coffee it sells to staff to Fairtrade brands.